Posted by skyvu on Tuesday, May 15, 2018 in News, Payroll, Projects, Reporting. 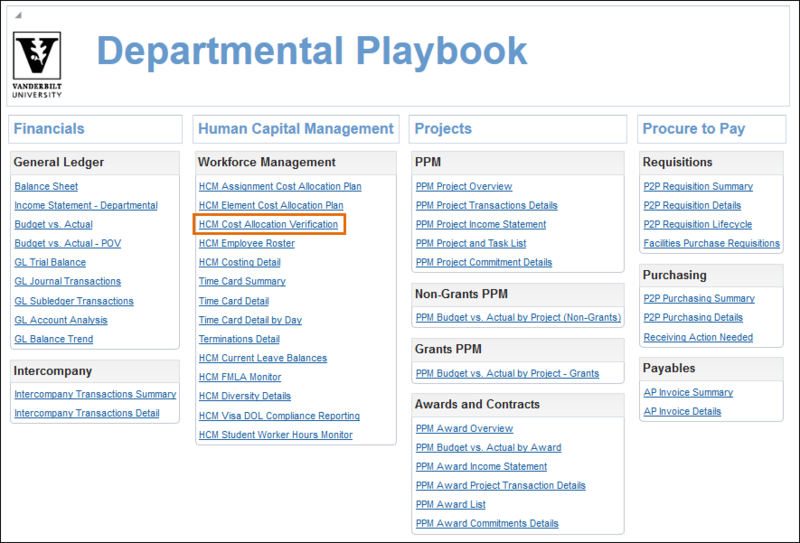 During the May 10th HCM Specialist User Group meeting, we discussed a best practice for reviewing the HCM Assignment Cost Allocation Plan and HCM Element Cost Allocation Plan reports as part of preparing for the payroll process. These reports allow you to see past and future project expiration dates and thus make costing adjustments in advance of the payroll run. Run the HCM Assignment Cost Allocation Plan and HCM Element Cost Allocation Plan for your Business Unit/Work Unit. This will provide details for all payments costed at the assignment (regular earnings) and element (supplemental pay) levels. Export the report to Excel. Highlight the details and then unmerge the cells so you will be able to sort. Highlight the Project End Date column. Then on the Data tab in Excel, click Text to Columns and then Finish. This will convert the column values from text to dates that can be easily filtered. Sort the report by Project End Date or by Person Name (as needed) and identify any costing of users to expired or expiring projects that requires update prior to payroll run. For more information, the materials and recording from the May 10th HCM Specialist User Group meeting are available on the Calendar page of the SkyVU website and review.